I am speechless. The trip had happened almost 4 weeks ago and I am still in awe in the amazing sight that I experience. Derawan Islands, East Borneo (Kalimantan) of Indonesia is by far the most beautiful place I have ever been to in all my life. Well, I understand how I am easily amused at breathtaking views, and every trip has its own perks, but this one. This one, I fell in love. The whole Derawan trip consist of traveling to places and islands such as: Tarakan, Maratua, Kakaban, Sangalaki, and Derawan. Derawan Islands, located among 2°15’36.9″N 118°34’22.4″E of the Celebes Sea, has the most amazing eye-relaxing treatment of traveling ever! I started this journey feeling very excited knowing that this is going to be my first time stepping on the infamous Borneo Island. The largest island in Asia that’s divided among three different countries; Brunei Darussalam, Malaysia and 73% territory of Indonesia. This time I landed on Juwata International Airport in Tarakan, one of the major oil-producing city in East Kalimantan. 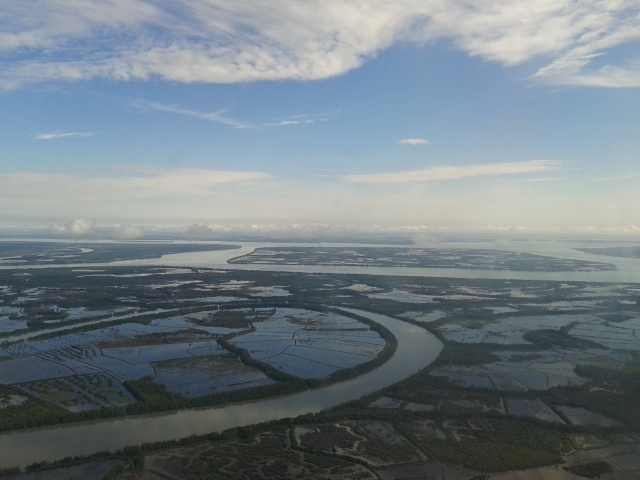 With their famous rainforest and wildlife (orang utans and proboscis monkey to name a few), landing in this small city we were welcomed by quite a different aerial sight: greens divided by veins of flowing river. My breath was taken away. 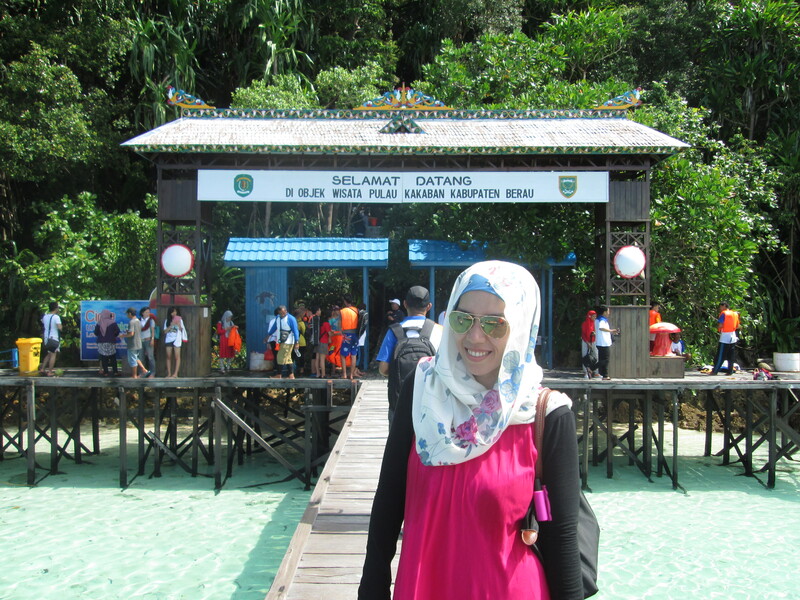 In Tarakan, we started our tour to Proboscis Monkey (Bekantan) and Mangrove Conservation Park as well as Pantai Amal. It was a different experience to check out “Dufan’s” icon in real life; a pot-bellied monkey with a huge nose. What was that about?! God is amazing, mashaAllah. 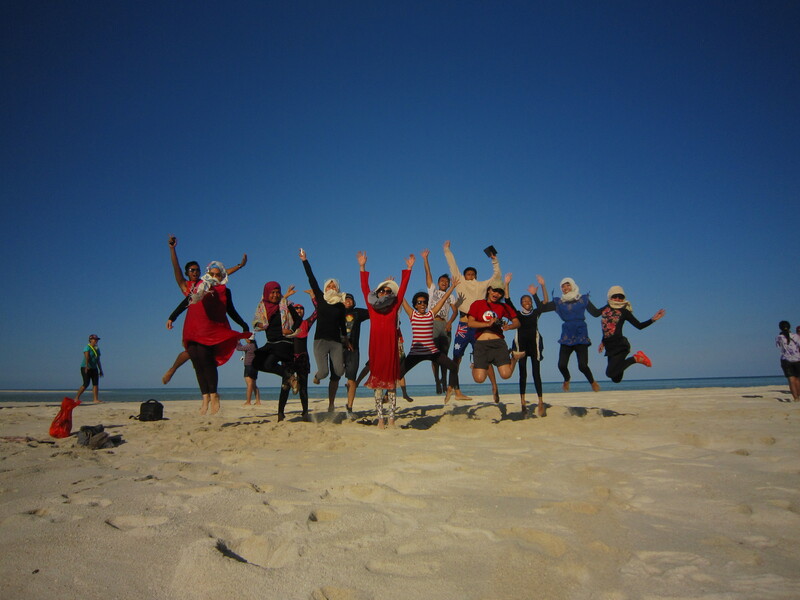 Pantai Amal was also something because I get to see such vast wide blue sky that I have not seen in a long time. 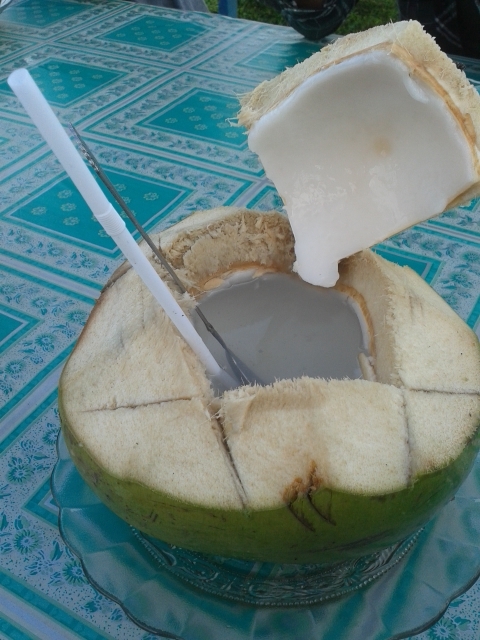 Topped it off by gulping devotedly on young coconut fruit (kelapa muda) by the seaside. Awesome! 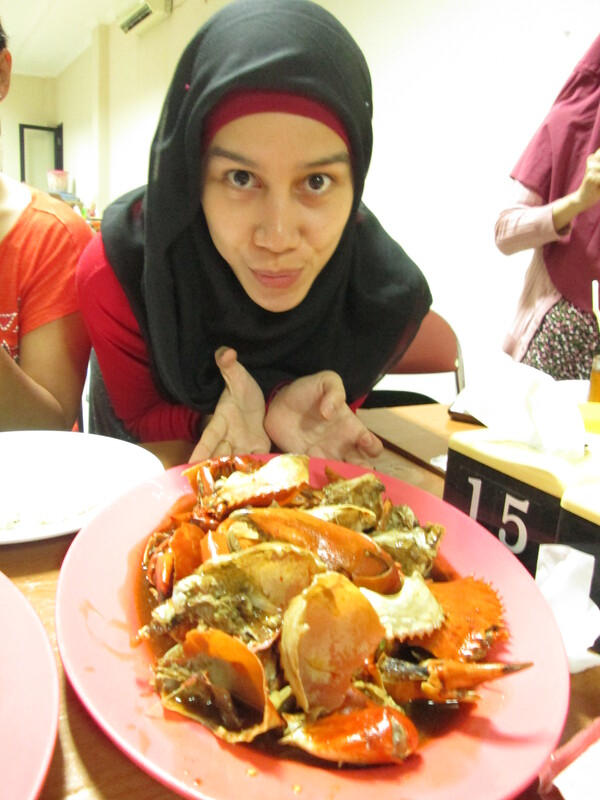 By night we were taken to eat the well-known seafood Kepiting Kenari at Mr. Crab. Two plates of large black pepper and butter sauce crabs and one plate of sweet and sour prawns later, our tummy were numb but happy. Best dinner yet! Stayed one night in a motel in Tarakan, the next morning we headed out to Pelabuhan Tengkayu (Tengkayu Jetty) which was only three blocks away from the motel. The jetty was busy with travelers and workers roaming around scattered, trying to start their day at sea. Speed boats, small ships and fancy yachts were in sight. Leaving with our backpacks in towed, we took the speedboat for 3 hours to the island. 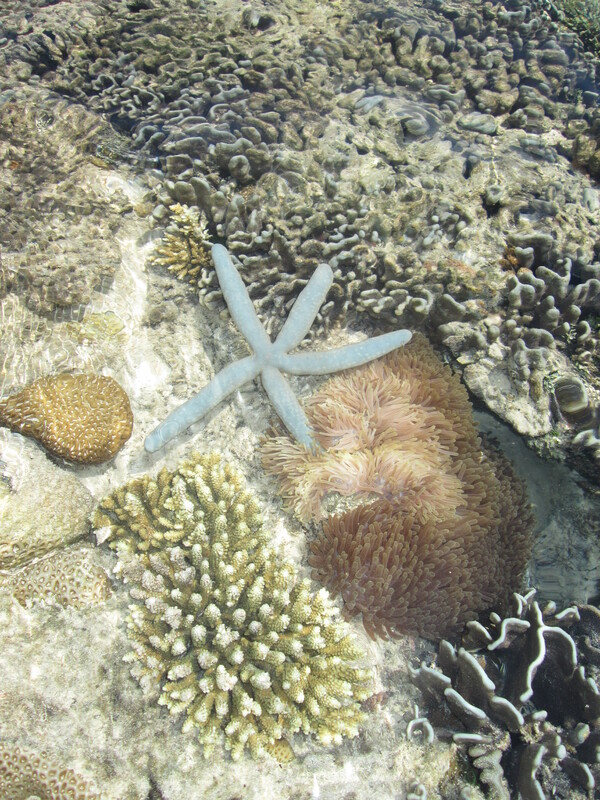 Maratua were dropped-anchor first. Maratua, what can I say about this one. PRECIOUS. This beautiful island made up my most God seeking sense. I couldn’t stop saying Subhanallah for its beauty. We stopped at Maratua Dive Resort first and explored the resort by taking photos, watching how crystal clear the water were and for me personally, I was checking out the Dive Center with one of the other divers on the trip, Mas Fanto. We wanted to know how we could explore the beautiful island in depth. 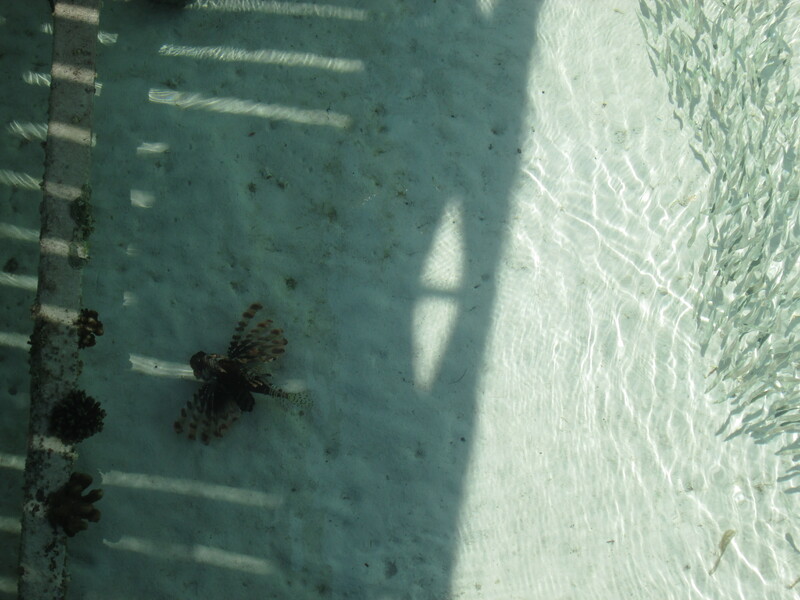 From the top of the wooden platform where we stood, clearly seen a lion fish roaming freely, swimming slowly in the water as if it was trying to show off its veil-like fins. It was like watching straight from a fish pond, except this was an open sea. IMAGINE IT! After having lunch, we were out to explore the island in much detail. Snorkeling! 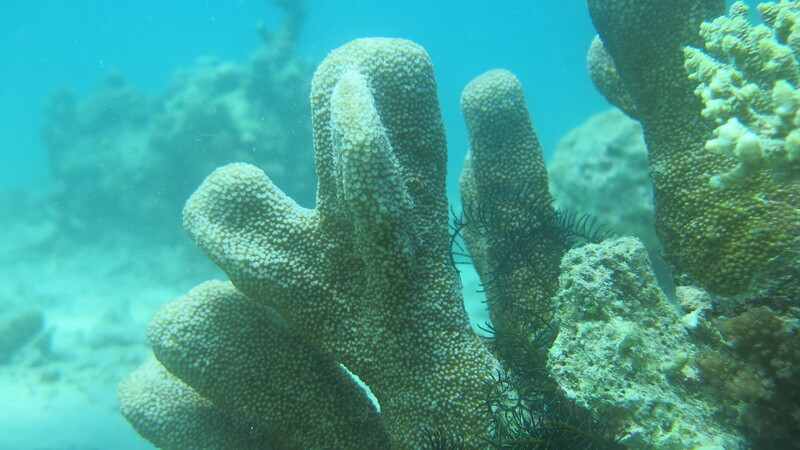 The speedboad took us to a few sites to snorkel, including Reef and Turtle point. This is where I was so mesmerized. TURTLES! I saw them live in the ocean! How often does one sees that kind of sight? Definitely very rare for me! I used to always see turtles in the aquarium like Sea World and out of the ocean like in their conservations, but this. Watching them swimming slowly around like flying in the middle of the deep ocean freely? It was amazing. 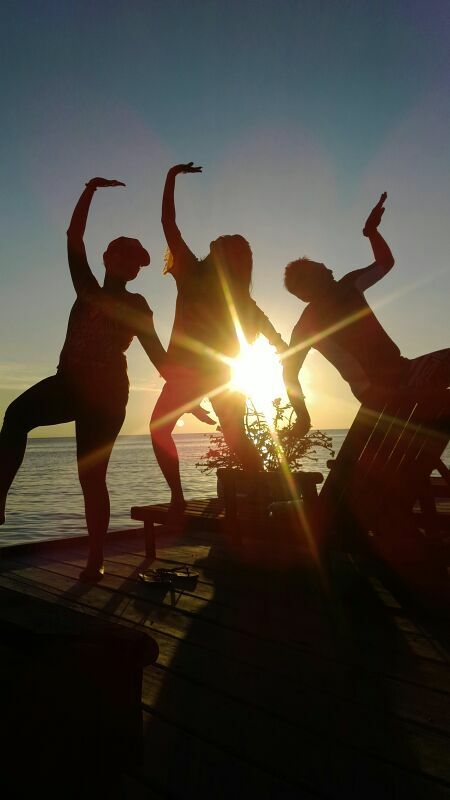 After snorkeling, we went back to Maratua Dive Resort to watch the sunset. Once again it was magical. Watching the orange light sinking deep through the sky surrounded by clear swimming pool-like water, it was surreal. I can’t remember that happening beautifully anywhere else. 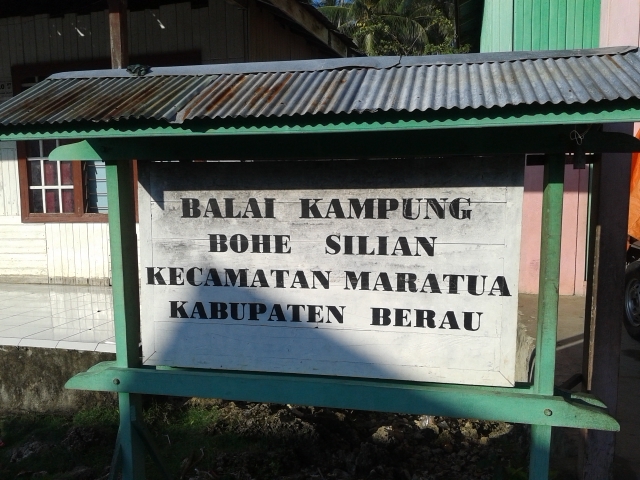 Headed for shelter in Maratua Island, Bohe Silian village was chosen as our rest area. A vast village with quite well-off residents of fishermen became our host for the night. Scattered with 100 or more houses, Bohe Silian has the most friendliest residents I have ever met. Each house could occupy about two to four people at a time, so our group were scattered along a few houses in the area to stay the night with the locals. Men in the village are mostly fishermen, while wife stays home to nurture kids and children goes to school in the nearby village of Payung Payung. Morning risen, Bohe Silian village was lighten by sunrise that was up super early. By 6 am that we woke up, it was bright already. 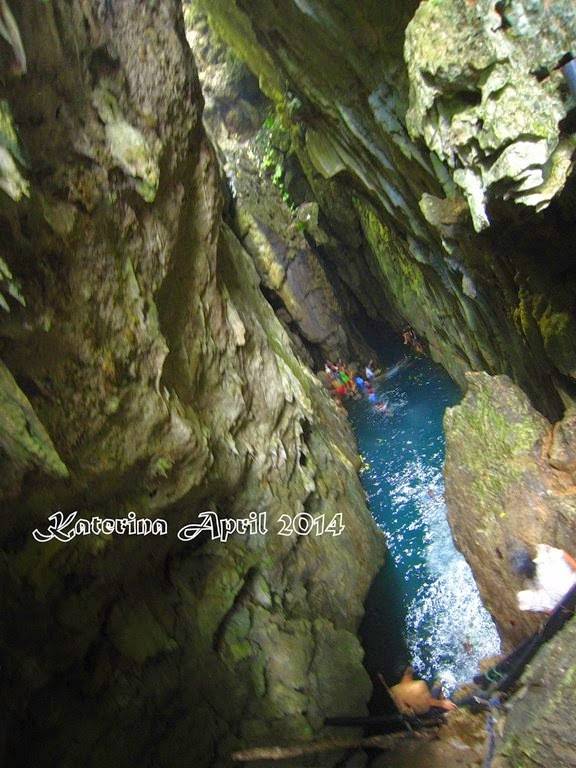 At this day, we have a plan to hike to Goa Simbat — a lake-filled cave inside a jungle. After having breakfast at one of the local’s house, we headed up to start our hike. It was about a 20 minute hike up and down the coral pebbled jungle from the back of the village’s houses. Interesting thing about this hike was we were taken by the younger locals. Talk about 8-12 year olds leading us up the jungle towards a cave. WOW? They are amazingly brave. What was even braver was when we saw the cave’s deep walls, locating the dark blue (even deeper) lake in the middle, and with no fear they started to climb down and a few JUMP down the over 10 meters deep cave cliffs. I was frightened to see them! But they were so gnarly that I was tempted to try going down to the lake. By then there was over 10 local kids jumping and climbing back and forth swimming into the lake. They came up saying “It’s really cold!” but with smiles and grins on their faces. I was shaking but challenged! Amanda burst the fears out of everyone and told that she wants to go down..so did I. So we went down (the wooden stairs-not cliff jumping) with a few of the guys. The lake was chilling and amazingly deep, I was told it was around 12 meters deep (whoott?!). Great experience ever! After saying goodbyes to the amazingly humble locals of Bohe Silian we headed out again to Kakaban Island. This one, I really can’t wait. 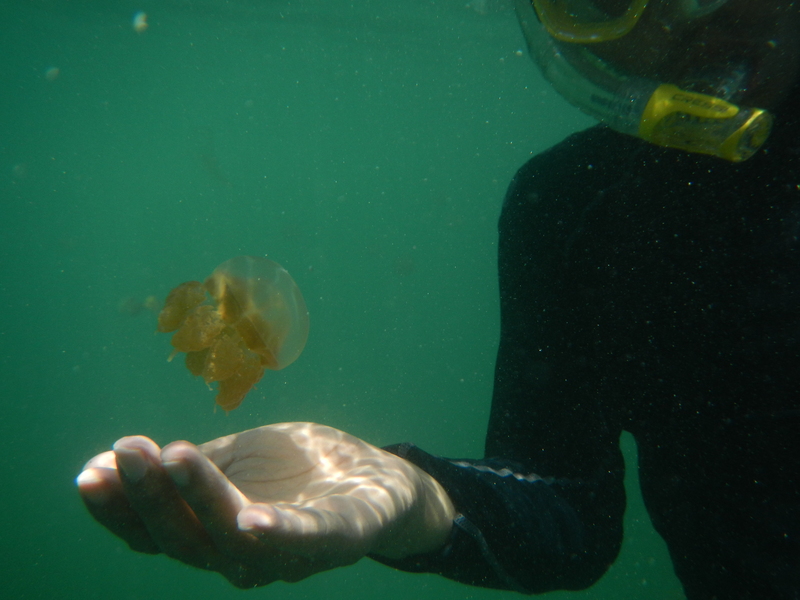 NON-STING JELLYFISH LAKE YOW! The thought of me being stung by a jellyfish when I was 8 years old in Aceh challenged me to enjoy every bit of experience here, because they don’t sting! Evolution over the years in Kakaban waters made them lose their defense mechanism and survives solely through the sun rays that blast into the lake, subhannallah. 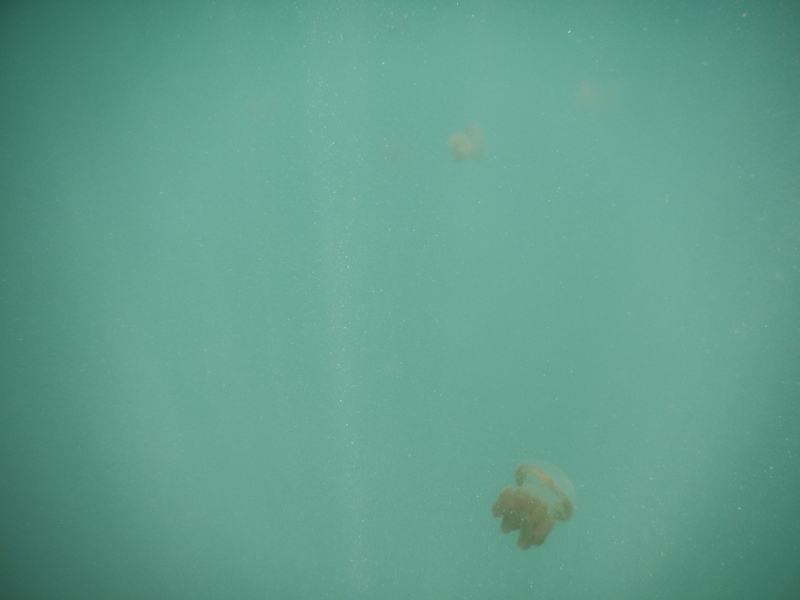 We snorkel here and play around with the jellyfish, touching it, holding it in our hands, watching it dance around through the sun rays, it was like a show. It was amazing. Next stop after Kakaban was we will have lunch at Sangalaki island. This is one stunning island too. There were resorts and dive resorts here too. When we arrive towards noon, our boat couldn’t move all the way to the shore because of the low tide, so we had to walk up to the shore for about 30 meters. However the view was stunning! 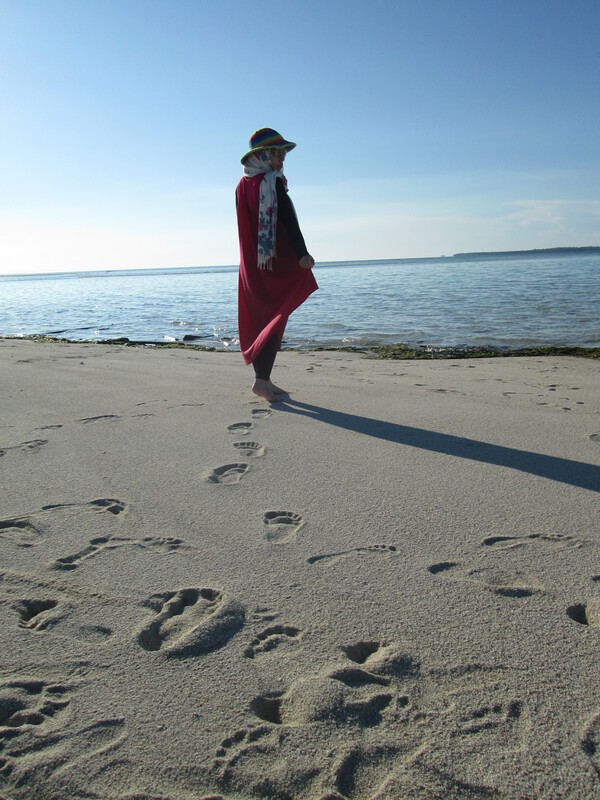 The walk was only 30 meters short, but the photos we took in those 30 meters were hundreds! 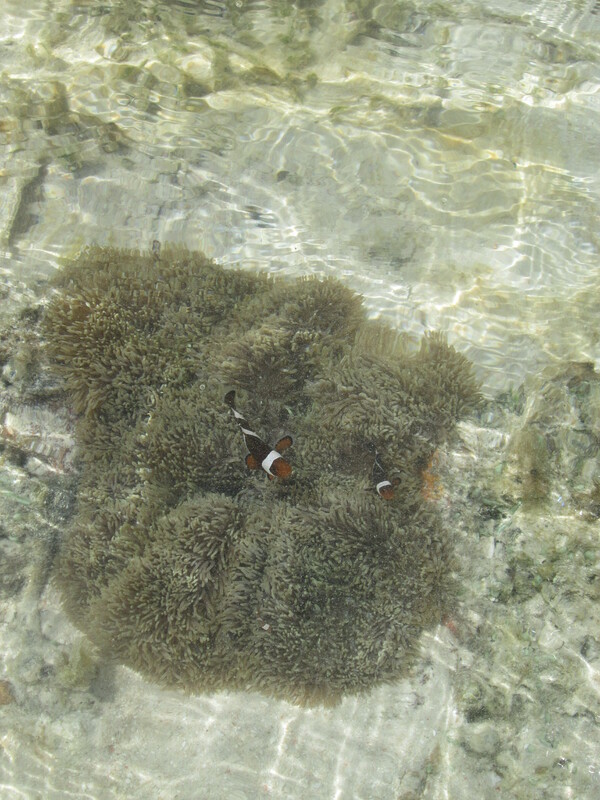 Imagine being on low tide where you only see sand and water, here you can see a Nemo and Patrick (clown fish and starfish) sitting around in the corals nearby and we were able to take their pictures from the top of the surface! Whatt! We didn’t forget the clear blue sky surrounding us too, so that was overwhelming with amazement. After having lunch by the shore and resort in Sangalaki, we went back to the boat (that some of the guys unfortunately needs to help push because of the lowest tide) and head off to Manta Point which are still in Sangalaki area. Manta Point is a snorkeling point where one could see Manta rays flying by through the surface, and I mean GIANT manta rays. Unfortunately, when we got there the current in the middle of the ocean was surprisingly so strong that when the boat stopped, it rocked really hard, most of the people in the boat were starting to felt seasick (ironically, including the boat crewman!). Some of us stayed in the boat and some went to the ocean to hunt for the Manta sightings. We weren’t able to find any. However when we were still in the boat, we saw a large shadow of it from the top. It was ginormous! So that was still freakishly awesome! 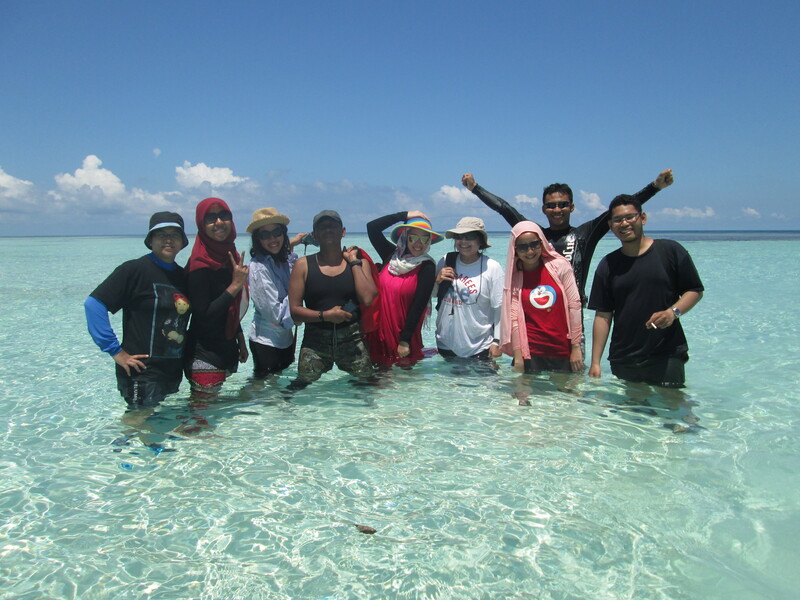 Before heading back to our final island stop of the trip, Derawan, we went to a Gusung. A Gusung is a large sand island that was formed as the waters went on a low tide, but everything else surrounding it was deep water. Of course we stopped by here for photos! Arriving at our last destination, we stayed at Danakan Losmen in Derawan Island. This was by far the fanciest sort of resort-y accommodation we stayed in. Well, minus the stolen pricey items we find out in the morning, this resort was quite fancy with colorful blocks of rooms on top of wooden platform that goes down straight to pool-like sea water. At the back of the resort, there lived a whole other life of the island, the local houses and business district. 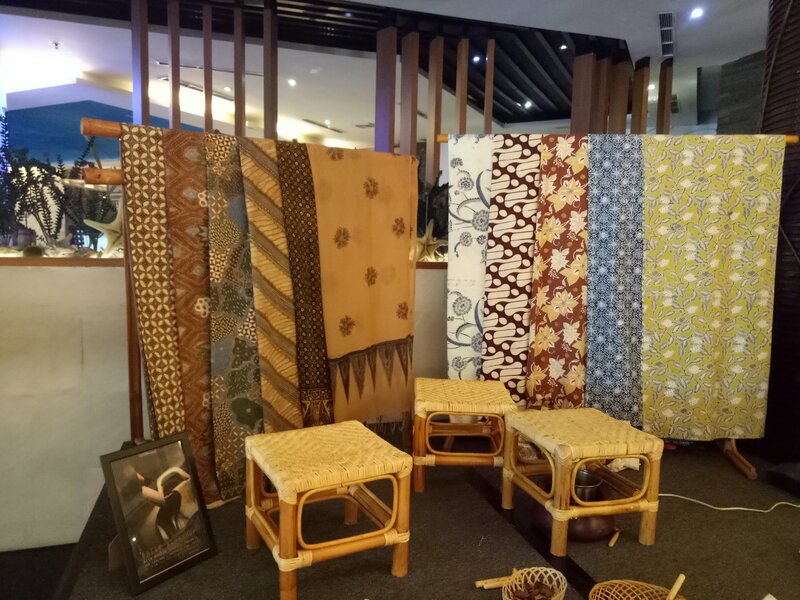 Business districts consist of mostly diving center, warungs, souvenir shops and the locals’ houses that turned into homestays for travelers alike. The village was lively at night. After dinner some of the gangs went to see the night life in the village, we saw children mobile mary go-rounds (odong odong), souvenir shops that sell overpriced items (due to the fact that Borneo is just solely expensive with difficult logistics reasons), tourists and travelers roaming around shopping, eating as well seafood tents. It was lively and beautiful. 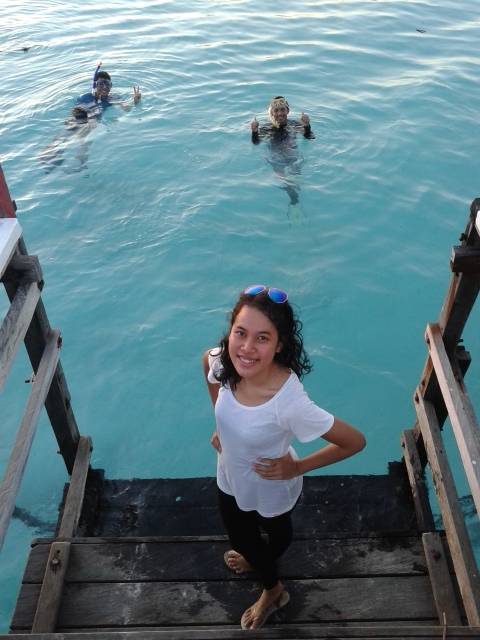 The next day, I booked a log of scuba diving down the Derawan waters with some of the brave people in the gang. 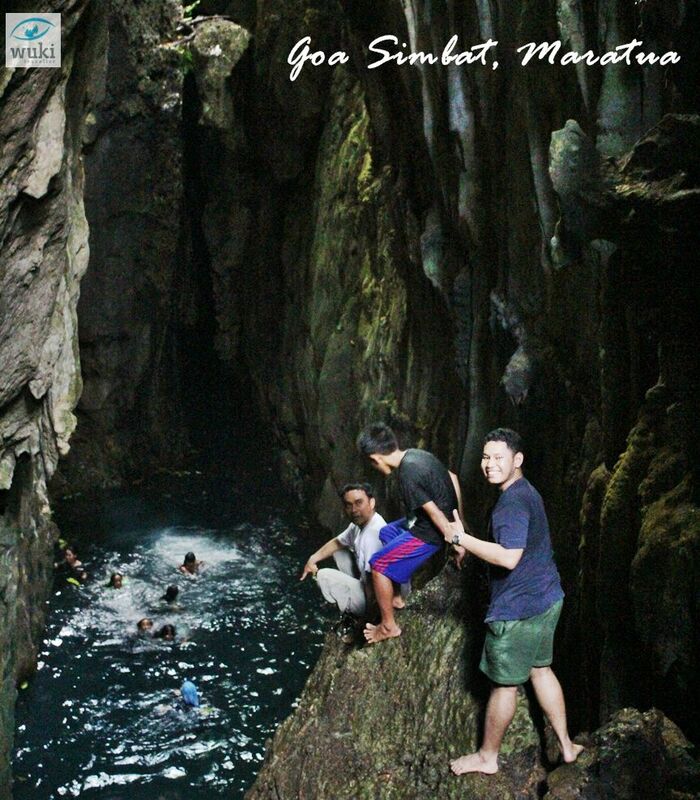 Luckily, Danakan Losmen has its own diving center with skilled dive master named Putu. He was very knowledgable and calming through out the trip. Being the only licensed diver, I had to pay Rp. 300.000,- for 1 log (about 1 hour in the water), as my other friends who are brand new to diving and went for a recreational dive had to pay Rp. 450.000,- per log. 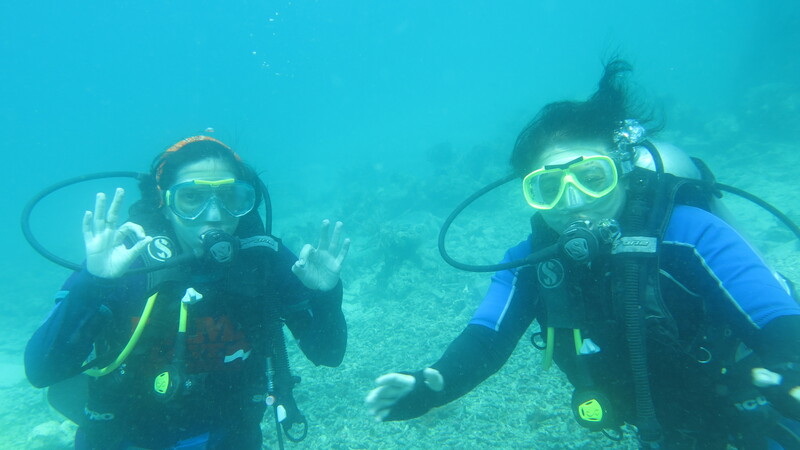 The price was worth it as we explored such amazing underwater with far visibility due to the crystal clear ocean. 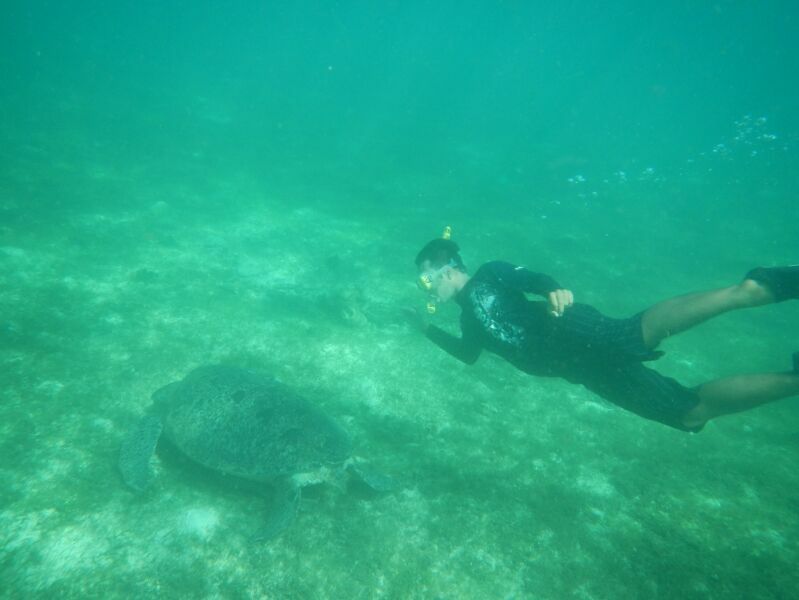 We saw turtles, cuttlefish, scorpion fish, eel, clown fish and parrot fish were everywhere. 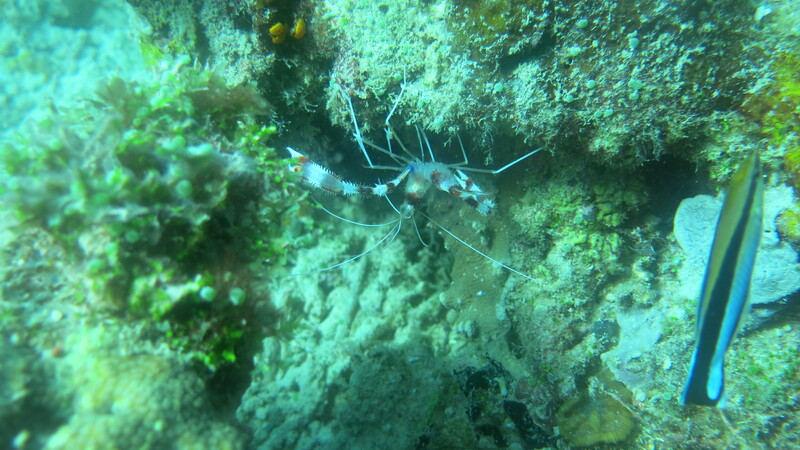 There were hydraulics, corals, fan-like seaweeds and most of other underwater creatures I’ve yet to figure out. I was in awe. 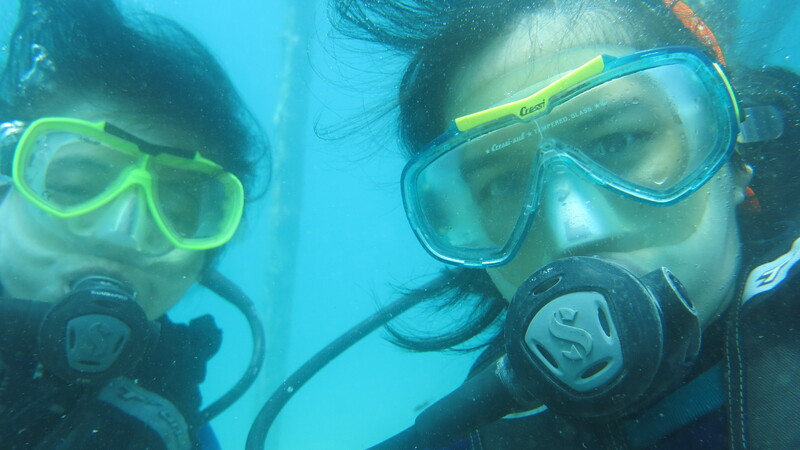 Mostly I was amazed at how incredible my diving partner was, a fit strong young 53 year old woman, Mba Anita. She was the best. The whole trip ended that day after lunch as we head back to Tarakan. 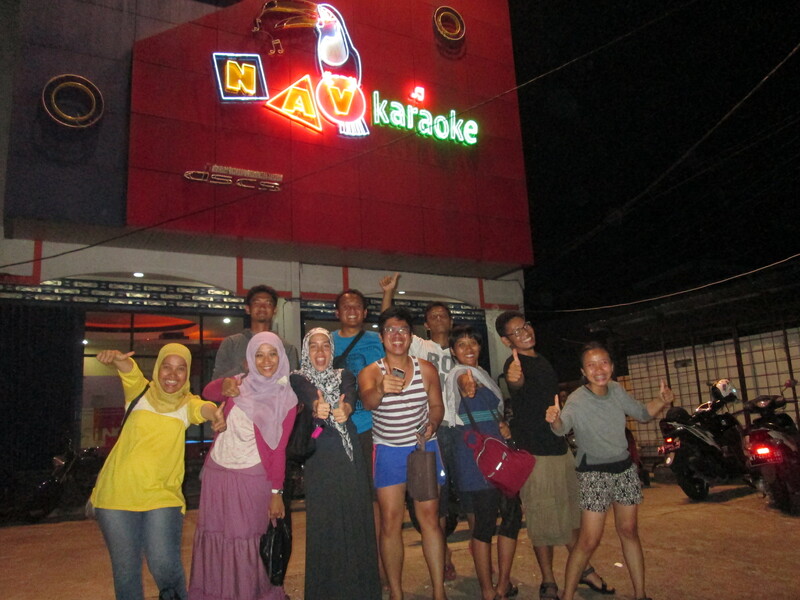 A few people head back to Jakarta that night and the rest of us stayed another night in Tarakan. Let me just conclude that last night was the total highlight and I had a blast. We karaoke-d until 1:30 AM and walked back to the hotel for a bout 1 hour, not forgetting to stop by to eat some grilled chicken. It was a great finish to our trip. We felt closer like a family and we spent a really good amount of time just getting to know each other really well. I’m never good about describing myself. So, what better ways to have an introduction than a story about my self, my experiences and my desire to see the world written by one of my most talented friend, Samantha Lau. She wrote this story for one of her university assignments and i patted her back when she scored amazing on this piece. 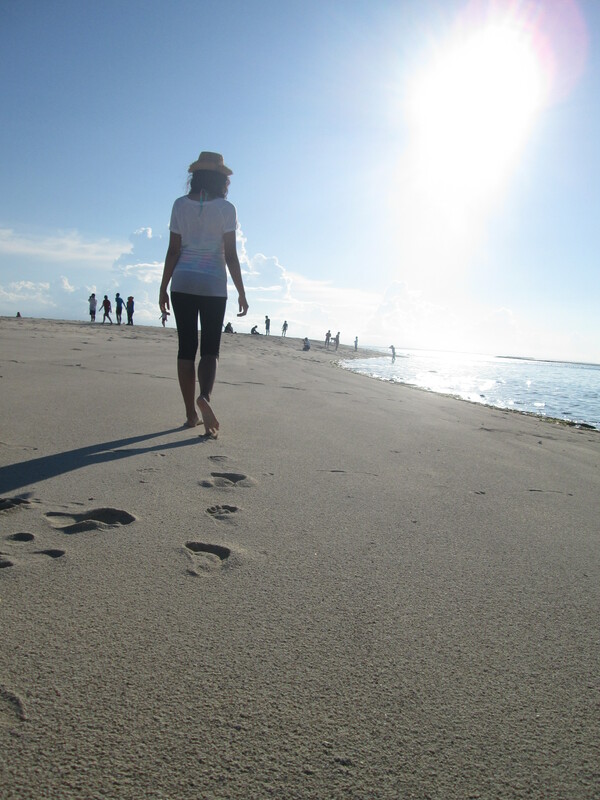 A young Indonesian woman’s journey from Jakarta, to Kuala Lumpur and to Adelaide. A young woman brushes away a tendril of her black hair from her smiling face, causing the many Indonesian-carved wooden bangles to clunk together melodically. The sudden DING! of an oven timer snatches her attention and she hurries over to check on the cookies she had baked for Idul Fitri, the Muslim holiday that signals the end of Ramadan, the Islamic holy month of fasting. As the delicious smell of nastar (traditional Indonesian pineapple tarts) wafts across the room, the woman, Andita Frida Aisha, resumes her seat. She is wearing a classic white kaftan, a type of traditional clothing worn by Indonesian women during the Muslim festival. The intricate gold embroidery that embellishes the kaftan’s neck, cuffs and hem catches in the sunlight.